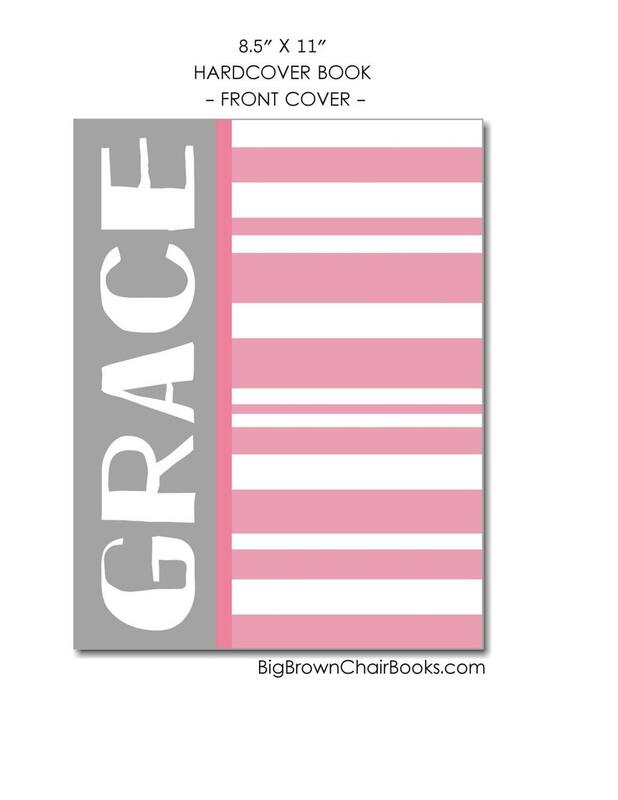 Your baby girl's name is printed on the front and back cover of her book. The information from her birth announcement (birth date, time, length, weight) is printed on the back cover. Your completed, custom book is ready for you to attach photos and add those special memories as she grows.